Jewelry for the back is one of our newest items. It includes: back necklaces, shoulder jewelry, shoulder straps and a beaded jacket. Our commitment to you is to provide you with outstanding service in all areas, answer questions, give suggestions that will make your day outstanding. 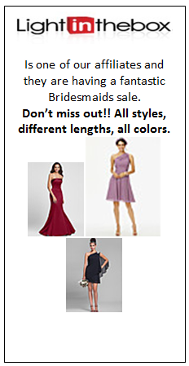 You will be the center of attention on your big day with help from our Bridal Concierges at Wedding Just 4U. 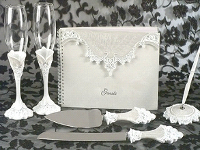 We provide brides-to-be with beautiful wedding accessories and bridal gifts. From tiaras, gloves, and headpieces to shoes and bouquet jewelry we help the bridal party look stunning. During your wedding planning, we'll bet there are things you didn't know about. For example, it's acceptable for you to have two guest books. You can also decide to perform a non-traditional father-daughter dance. In fact, you can get all your family and friends on the dance floor. Our Bridal Concierge can also help in setting up the reception. Our staff has put together some articles of interest to make planning your wedding a lot more fun. We tell you the meaning behind that money bag that some brides carry. We'll also provide you with examples of what needs to be done weeks and even months before your wedding. Our company provides a variety of payment options, including credit cards, personal checks, and PayPal. We guarantee that every transaction you make is safe and secure. Ground shipping in the US is free, and if you need to return an item, we give refunds. We have no problems with exchanges. Please click on the highlighted text: return an item. Because of the Wedding Industry, there are specific Do’s & Don’t regarding returns. If you have questions or something isn’t clear you can Connect with us, and we will get back to you ASAP. 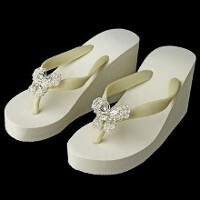 Be a bride that glows with accessories from our bridal concierges. At Wedding Just 4U, we do our best to make fairy tales come true. We understand that this is a very exciting time for you, and we are here to do our best to make it happen for you. 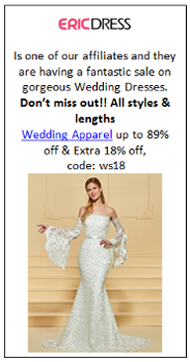 We have been in business since December of 1999, helping brides in every way possible. Since 2010, we have been providing online sales of our products. Our services include assisting with planning, coordinating, vendor selection, wedding day coordination, and so much more. On our Did You Know page, you can learn about wedding customs, wedding trivia, and hot questions and topics for today's bridal situations. 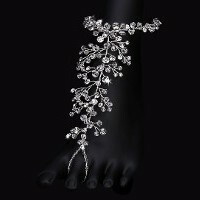 Our bridal and wedding accessories have been designed to encompass the elegance and romance of today's weddings. We constantly search for and find new, elegant products to purchase. You can always depend on us to buy from the best in the industry. We have our own line called the CV SHAE Collection, where some products are made in-house. This gives us more flexibility to color-customize. You can find one-of-a-kind products that may come from previous manufacturers, due to them either changing their line completely or closing down. As you are aware, trends come and go, but our goal remains steadfast in offering a collection of timeless memories accented with rich fabrics, lavish laces, and elegant enchantments. We offer a wide selection of luxurious bridal accessories and gifts that will captivate your heart and reinforce the idea that fairy tales really do come true. We are committed to continually providing you with beauty, elegance, breathtaking accessories, and outstanding service. Sit back and relax as you take your personal tour of our website. Because there's so much to see, and we know you'll want to come back soon, bookmark our site. Our commitment to you is to provide you with outstanding service in all areas, answer questions, give suggestions that will make your big day outstanding. 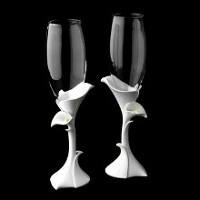 We will continually provide you with the beauty, the elegance and breathtaking accessories including Ceremony & Reception products from top distributors in the industry. Thank you for your interest. Please reach out with questions or comments using the information below. We look forward to hearing from you. To fill out our questionnaire form, please Click Here. Contact our technical support division if you experience any problems with our shopping carts or have questions concerning any of the features that are installed. None of the Special Offers' discounts can be combined with each other.